Yeah, Markolios does some good work. I finally figured out what your Avatar is. It''s KR Brave. I found a similar image to it on DevianArt and it suddeny made sense. 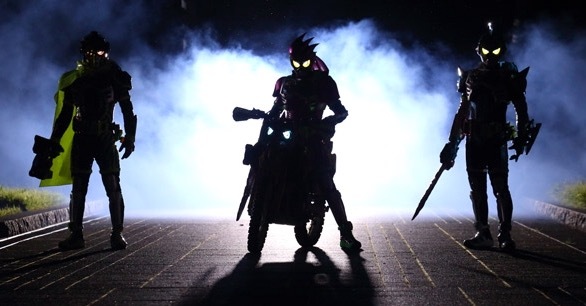 So, are you going to submit a character for Henshinzero's KR Ryuki/Dragon Knight 100 Rider War thread? I've been good. I hope your homework hasn't been too hard. Hey Helios, haven't talked to you in awhile. How've you been? Where is everyone seeing the Legendary Damashii images at? All I've seen are Gaim and W.
Ok. Then feel free to contribute. Right now we're working on the Rider's name.